Dont give up on your dreams. Dreams will comes true one day. There’s no person as beautiful as a person who dreams. 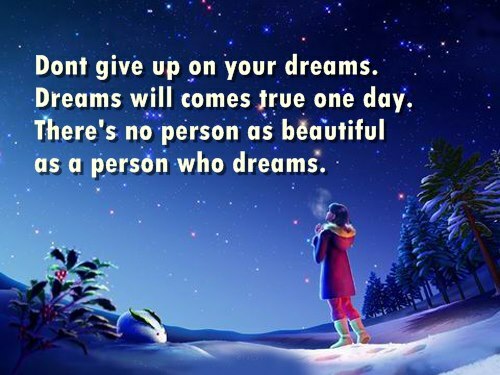 Quote : Dont give up on your dreams. Dreams will comes true one day. There’s no person as beautiful as a person who dreams.